Wall Lakitus are the land-dwelling equivalent to Aqua Lakitus that stay on a perch at a particular point. They hide behind walls and throw Spiny Eggs at Yoshi. The Lakitu may be defeated by being jumped on or shot by an egg. They never ride clouds or leave their wall's holes. 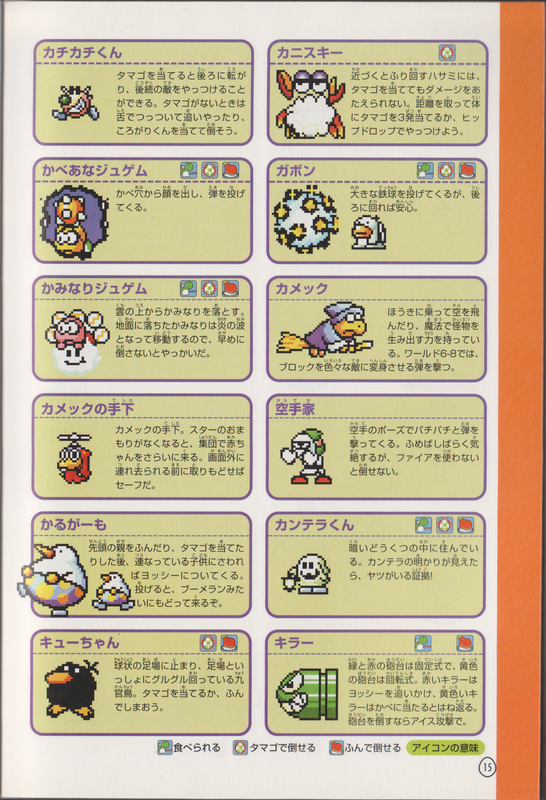 Wall Lakitus appear in Super Mario World 2: Yoshi's Island, Yoshi's Island: Super Mario Advance 3, Yoshi Touch & Go, Yoshi's Island DS, Yoshi's New Island, Yoshi's Woolly World, Poochy & Yoshi's Woolly World and Yoshi's Crafted World. This page was last edited on April 13, 2019, at 10:47.